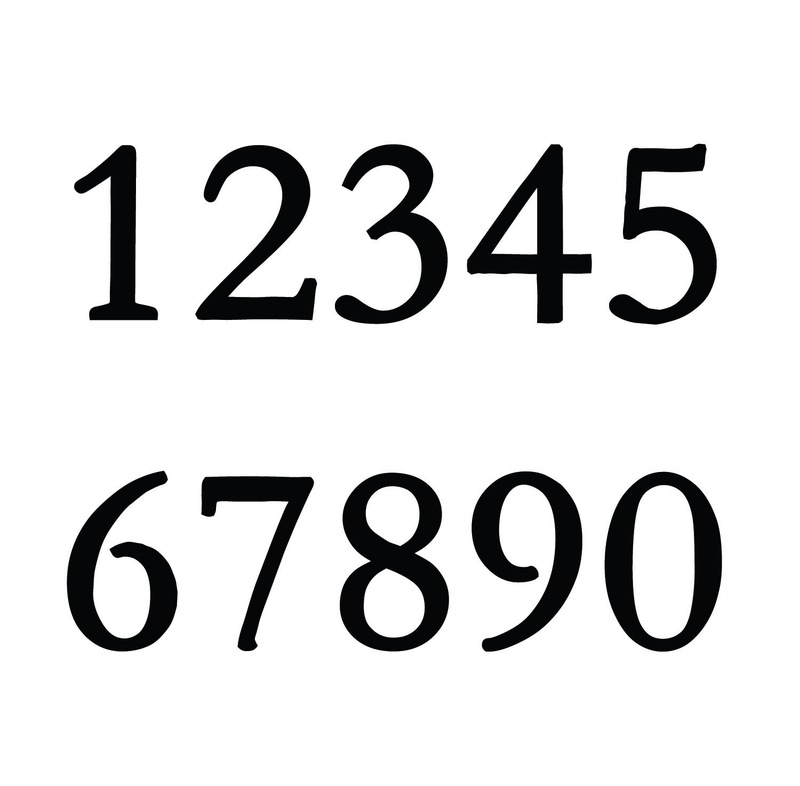 4 x 3"/75mm or 4"/100mm high numbers in Garamond font made from one piece of eco friendly copper - this is a 99% recycled product. The polished copper numbers are laquered, the patinated is left 'as is' and will improve further with age and humidity. 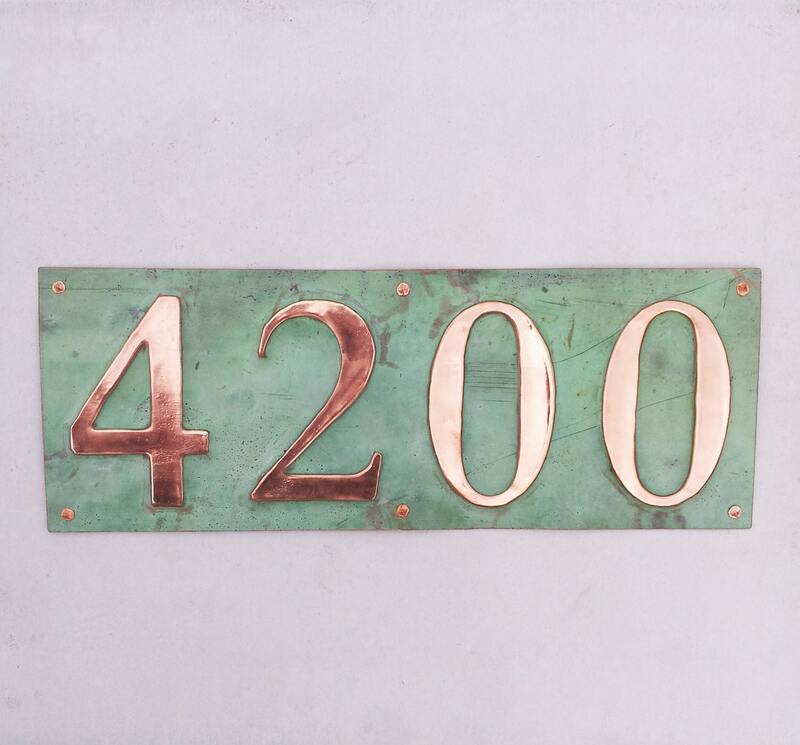 4200 polished Garamond copper plaque number size approx. 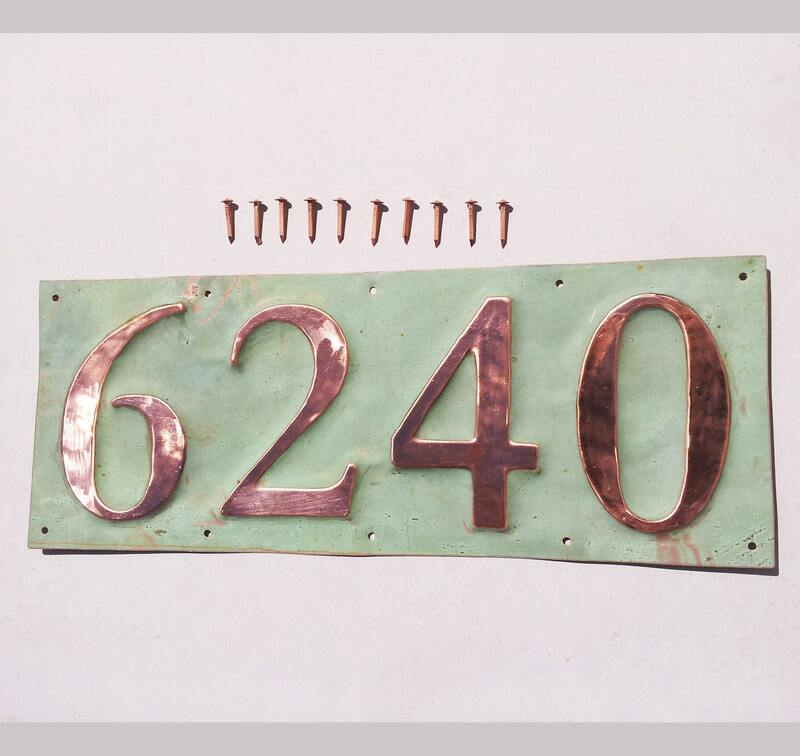 6240 in 4" numbers showing sunlight reflecting and copper nails. Size 34 x 13 cms/13" x 5"
Size of 4" vertical is approx 20" x 5.5"
I have been making these copper plaques for over 9 years now with many satisfied clients worldwide. If you have an idea or design that you need to develop. I have a fully equipped workshop - wood and metal and over 40 years experience as a creative. Loved the piece. It really brings my house together! We could not be more pleased with the craftsmanship of this lovely address sign. The copper matches our vintage light on our Tudor style home. Thank you from the bottom of our hearts. Gorgeous gorgeous sign. I love it. The attention to detail is amazing and the combination of verdigris and polished copper is perfect. Thank you.